The time around diagnosis is an important time for you to understand your child’s vision impairment and the effect it may have on their development and learning. Your family needs emotional support to help you through the early stages of learning your child has a vision impairment, as well as practical support to help your child reach their full potential. Our Resource for Parents section will give you information and advice about supporting the growth and development of your child, through the early years and school years. Our downloadable Information for Parents guide is also available in this section. You may want to understand more about your child's eye condition from our Eye Health team. Our downloadable Play Guide will help you to choose toys, create play experiences and play spaces that give your child opportunities to have fun and develop their skills. In our online RNIB Shop, there are products for blind and partially sighted children, such as Wikki Stix, balls and board games. If your child is particularly interested in music, our Music Service has events for children and young people playing musical instruments. Once a year, we arrange for children to receive a letter from Santa in their preferred format. There are around a thousand children who use our Reading Services, accessing books in formats they can read, such as braille, giant print and talking books, as well as magazines in braille and audio formats. Our Education and Learning information will help you to navigate the support systems for children with vision impairment in nursery, school and beyond, including assessment for SEN support and Education, Health and Care plans, curriculum delivery, and access technology. We conduct and commission research into the experiences of children with vision impairment and the services available to them. This provides us with evidence to influence people responsible for funding, developing and delivering specialist services for children with vision impairment. For example, we’re jointly funding the Optimum VI research being carried out by a team from Great Ormond Street Hospital, which is helping us understand the best ways for parents and practitioners to support the early development of a young child with severe vision impairment. 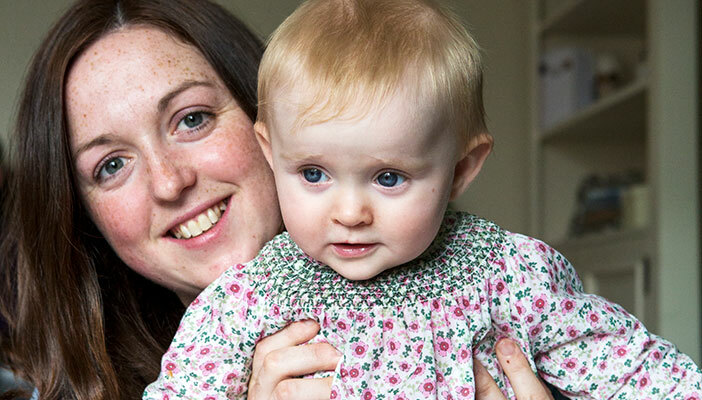 If you’re blind or partially sighted yourself, you may find our information on parenting with vision impairment a helpful starting point. The Helpline is the simplest way to access our services and can direct you towards your local RNIB children’s services, advice about legal rights and welfare rights, and to support from local authority vision impairment services. Sightline is an online directory of services aimed at helping blind or partially sighted people. You can search for services in your area by typing in your town or postcode. Our Emotional Support Service can give specialist advice to you. This includes Talk and Support (a telephone befriending service) sessions with other parents. The service also provides emotional support to children from 11 years. Starting Point is an information hub that has been developed by RNIB and other support organisations, for parents whose child has just been diagnosed with a vision impairment. This key resource will connect you with the statutory and voluntary services that can help you. Read blogs and stories from young people and families in our Connect community. Find out what's going on in your local area on RNIB Connect. Join the RNIB Connect community today. It’s free and easy!